U.S. energy companies participating in the upcoming Marcellus Shale Tradeshow in Washington County, Pennsylvania will have the opportunity to connect their workers with financial benefits provided by tradeshow participant Utilities Employees Credit Union (UECU). UECU is a financial benefits provider serving American energy, utility, and related-industry companies with services to help workers and their families improve their financial wellness. Our credit union has served the energy industry since 1934 with the dual missions of improving the financial well-being of employees and their families, and boosting worker productivity for energy employers. At next month’s Marcellus Shale Southpointe Tradeshow, Utilities Employees Credit Union (UECU) will connect professionals from U.S. energy companies with free financial wellness benefits they can provide to energy employees and their families. UECU representatives will share information about free financial solutions for energy workers, with other tradeshow attendees who represent energy and related-industry companies working in Pennsylvania’s Marcellus Shale regions. Southpointe Chamber operates from the offices of Southpointe Telecom, located in the Southpointe Business Park of Washington County, Pennsylvania, 17 miles south of Pittsburgh. For 18 years, the Chamber has hosted a business-to-business tradeshow for approximately 200 companies, including large scale natural gas energy producers and technology providers with a presence in southwestern PA, such as Range Resources, Consol Energy, DPS Property, Chesapeake Energy, Columbia Gas and Halliburton. The event is an opportunity for Marcellus Shale business representatives to meet and exchange ideas and business leads. Like many professionals in the energy and utility services sector, Marcellus Shale workers are often dispersed among rural locations, which may be distant from their hometowns – making virtual credit union UECU a logical strategy to serve their financial needs. Energy industry professionals (and their family members) can join Utilities Employees Credit Union as the employees of a company offering UECU membership as a human resource benefit – or can join as individuals if they have a membership in Energy People Connect, a free membership association for energy professionals and trainees. UECU offers utility, energy, and related-industry companies and associations a free voluntary benefit they can extend to employees and their family members to promote financial wellness, reduce employer health care costs, and enhance worker productivity. Some companies are offering financial wellness programs as a stand-alone benefit or as part of their employee assistance program. 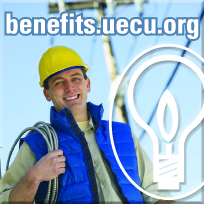 To obtain information on providing free employee financial benefits through Utilities Employees Credit Union, companies and organizations in the utility, energy, or related industries can visit benefits.uecu.org or call 800-288-6423, extension 6034. Southpointe Chamber of Commerce offers business development and marketing opportunities to 280 member companies in the Pittsburgh, Pennsylvania region, including magazine publications, networking events, sponsorship and advertising opportunities, tradeshows and news distribution. Southpointe includes a Marcellus Shale Chamber of Commerce that provides development opportunities and tradeshows specific to gas, oil and related industries with a presence in the region. Contact them at http://www.southpointechamber.com.